Hurricane Lane which is near Hawaii in the Pacific has forced the Pride of America cruise ship to change the itinerary and cancel at least one port of call. The Norwegian Cruise Line operated ship is keeping away from the approaching category 4 Hurricane. Hurricane Lane is charging towards Hawaii and even if the storm doesn’t directly hit the damage could be immense. To keep guests safe and away from any ocean swells and high winds the pride of America ship is altering its itinerary. 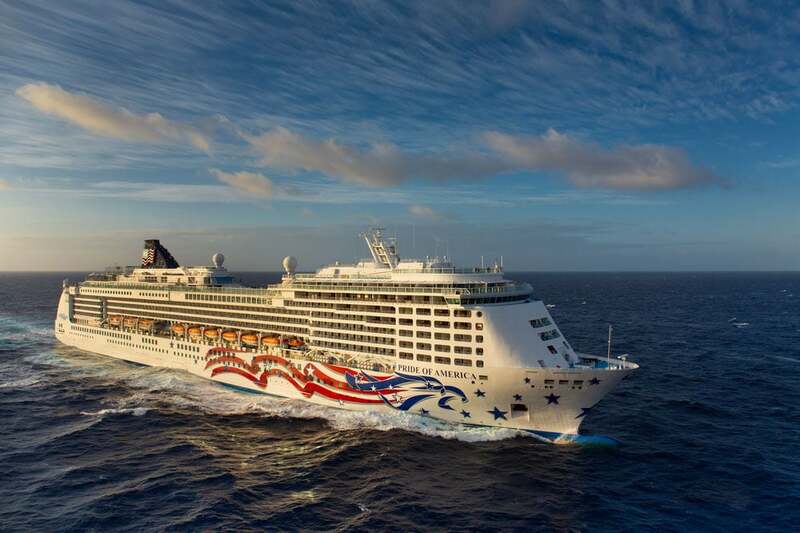 The Norwegian cruise ship departed its homeport in Honolulu as normal on August 18 and during the 7-night sailing, we know that one port of call is being canceled and there will be two sea days before returning back to the homeport. The scheduled call in Kona on August 22 will no longer take place and instead, the ship is having an extra extended overnight stop in Nawiliwili, Hawaii and is departing from there today at 6 PM. Pride of America is set to arrive back in Honolulu on schedule on August 25 and the next voyage is impacted. Hurricane Lane has become extremely powerful and is currently a category 4. According to the National Hurricane Center (NOAA), The storm has maximum sustained winds of 155 mph and is moving northwest at 9 mph. Hurricane lane is 490 km south of Kailua-Kona, Hawaii. 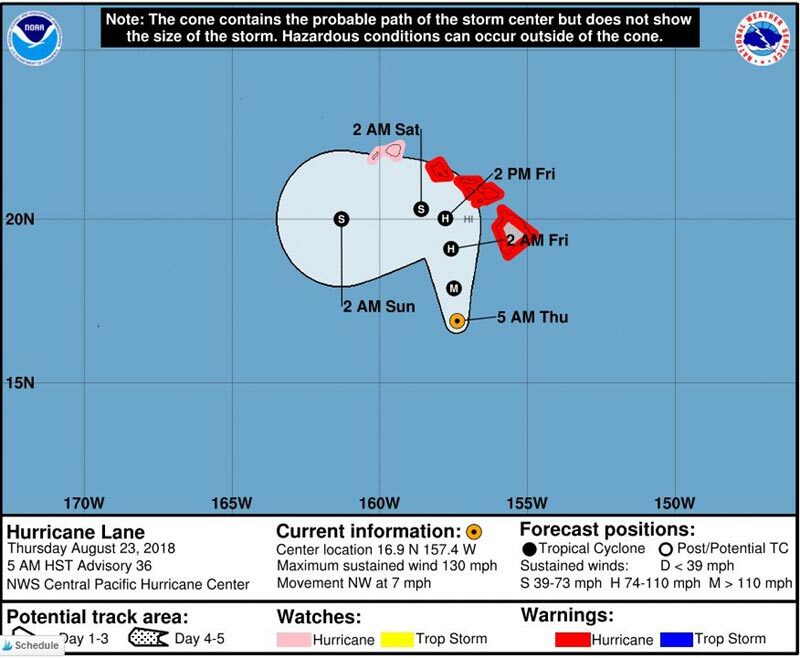 UPDATE – AUG 23: Just a quick update that Hurricane Lane has decreased to maximum sustained winds of 130 mph but this is no way makes the storm less dangerous. We’ve also updated the latest image from NOAA for you too which you can take a look at below. 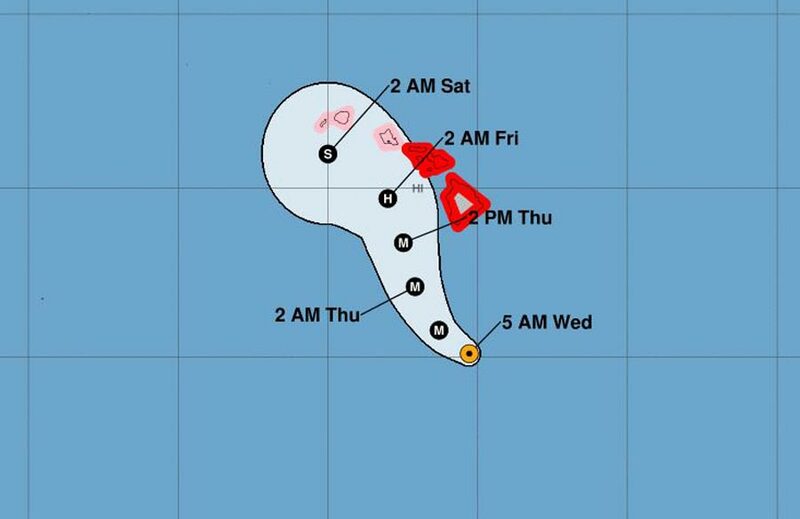 The Hurricane eye is expected to get very close to the main Hawaii islands on Thursday through Saturday so this is going to get very worrying indeed. There are warnings and watches across the entire region and the impact will be felt. Expect very high winds, high waves, ocean swells and heavy rain. Pride of America is based out of Hawaii year round and has a passenger capacity of over 2,100 at 81,000 gross tons.